This is a challenge step-out because the heron is such a tall and elegant bird, making it difficult to draw. I couldn’t come up with an easy series of steps that ended up looking like a heron. The problem lies with the proportions. They need to be fairly precise. The neck, legs and base of tail to base of wing are all about the same length. I drew mine on Manga storyboard paper to help keep the right lengths while drawing this step-out. 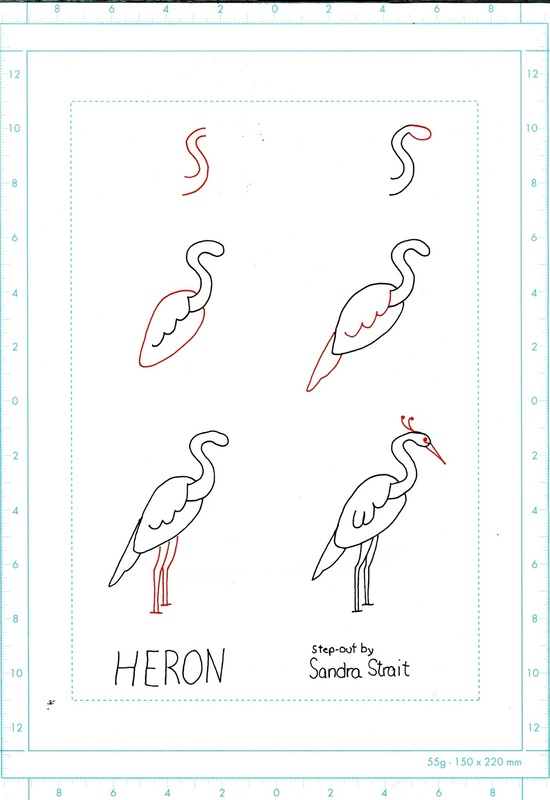 I hope you’ll give it a try, but don’t feel frustrated if you don’t get an elegant heron right off the bat. Even the experienced artist has some trouble getting this one right without lots of practice first.